If you’re having problems with your gas combi boiler you’ll want that fixed ASAP! We understand the urgency of boiler repairs as you rely on them for heating and hot water. Our gas engineer in Leeds can repair your boiler, have it back up and running the same day and can often be there within the hour. We only charge from arrival and are available 24/7 you can call at any time, any day of the year. For general plumbing work we have a Plumber Leeds based who also covers the surrounding areas. For Gas Boiler Repairs in Leeds and the surrounding areas, give us a call today! When it comes to gas and heating, you can call on EmergencyMan to do a whole lot more than just repair or replace your boiler. EmergencyMan engineers have many years of experience working will all types of boilers and other gas appliances on both residential and commercial properties. Home owners are encouraged to have gas safety checks carried out on their gas appliances at least once a year. Landlords and letting agencies will know this is a legal requirement for them and they must have all appliances in all of their properties checked annually. Our Gas Safe Registered Engineers can carry out and issue certificates for these checks and welcome such work. Our Gas Safe Register Engineers based in Leeds have worked on hundreds of boilers over the years. Highly skilled and very knowledgable in all gas combi boiler brands, this service is being recommended by many happy previous customers such as Julie from Leeds. Julie from Leeds had a problem with her boiler and called us on a weekend, out of normal working hours. 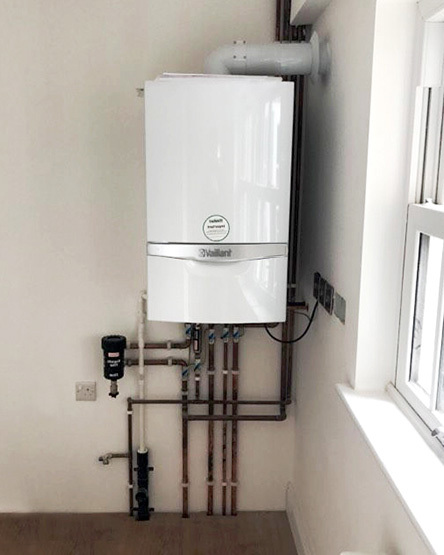 We were able to get a Gas Safe Register Engineer out to her property within the hour, and with always having a stocked van, her combi boiler was fixed permanently on that first visit. FIRST CLASS SERVICE- could not fault it. Would definitely recommend. Wes arrived within the hour, as promised to mend my combination boiler. I rang out of hours and at the weekend but he still provided an excellent efficient service. Good price too! As I say, I would not hesitate to recommend. Thank you Emergencyman plumbers. Many Gas Safe Engineers are only qualified for work on gas appliance in domestic premises. There are extra qualifications needed in order to work on gas appliances in places such as nursing homes, hotels, hospitals as the boilers are much larger and specialised. Restaurants and catering companies may use a type of gas and have appliances that require further qualifications again! Gas Engineers from EmergencyMan have all the extra qualifications required to work on a commercial basis for any type of business or organisation. Unlike some gas and heating services, EmergencyMan do not charge a call out fee. This means you are only charged for the time we actually spend on the premises, rather than also paying for us to come out to you. So the only items on your itemised invoice will be for any parts used and the time spent on the job. Time is charged at a fixed hourly rate no matter the day or time of day. Pensioners may be interested to know that we offer an OAP discount, and not just in the winter months. If you have boilers, central heating or other gas appliances needing attention please get in touch to see how you can save. At EmergencyMan we’re always striving to meet high standards of work. Because of this, we have in place a great team of highly skilled and experienced tradesmen. When hiring an engineer from EmergencyMan not only are they qualified and gas safe registered, they also have a wealth of knowledge built up over many years. What’s more, we are fully insured for all of the work that we do. When calling on EmergencyMan for any kind of work you shall always receive a first class service, with a smile. So confident are we that you will be satisfied with our work we don’t expect to get paid unless you are. We charge no money up front, only charge from time of arrival and give itemised invoices detailing all, with no hidden fees! We only ever use Gas Safe Registered Engineers. 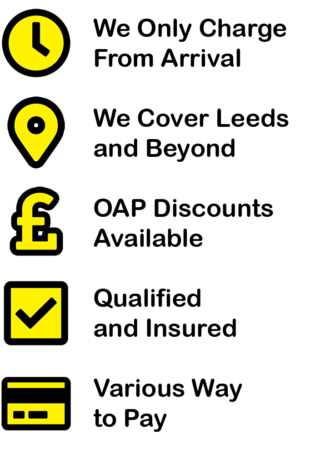 Read more about the Gas Safe Register.